In this session, Alireza, Mehdi, and David will each give their presentations that they will be giving at the International Air-Conditioning and Refrigeration Conference or the High Performance Buildings Conference next week at Purdue University. Bio: Alireza Behfar, P.E., will defend his doctoral dissertation in summer of 2018. Abstract: Supermarket systems can undergo various operating faults that may cause energy waste, equipment damage, and risk of food waste. Several Fault Detection and Diagnostic (FDD) methods have been developed and tested, as described in the literature and patents, and showed great potential to provide an early warning of a fault. This presentation describes some methods, our tests of the methods using real-world data, and insights into the potential and the requirements for FDD application in these systems. Bio: Dr. Bradshaw is an Assistant Professor of Mechanical and Aerospace Engineering at Oklahoma State University. He was previously the Manager of Research and Development at TORAD Engineering from August 2012 until July 2016. He received his Ph.D. in 2012 and B.S. in Mechanical Engineering from Purdue University. His research interests include modeling and development of positive-displacement compressors/expanders, heat exchangers, and waste-heat recovery systems. Dr. Bradshaw has authored/co-authored 1 book chapter, 28 journal and conference publications and is a named inventor on 6 patents. Abstract: Heating/cooling systems in buildings and their compressors account for about 9% and 5% of total primary energy usage in the U.S., respectively. Rapid development of new compressor technologies or a rapid re-design effort on current compressor technologies must be performed to avoid an increase in building energy use during the transition to low-GWP refrigerant equipment. This talk will examine the development of a new compressor technology, the spool compressor, in this context. The comprehensive modeling tools required for the development of a new technology will be presented. The use of these tools to rapidly accelerate the development of the spool compressor will be shown. Finally, a motivation for the development of more rapidly deployed modeling tools for rapid technology development will be discussed. Bio: Mehdi Mehrabi, P.E., is a doctoral candidate in Architectural Engineering at University of Nebraska - Lincoln. He anticipates completion of his Ph.D. in 2018. Abstract: Deposition of airside fouling on condensers degrades performance of air conditioners. Several researchers have studied airside fouling effects on performance of heat exchangers, but much of the work focuses on evaporators. ASHRAE RP-1705, currently in progress, is intended to study condenser air-side fouling, and to characterize fouling material so that realistic fouling could be applied in laboratory measurements. Nine field-fouled split system condensers have been collected, and fouling samples from two US locations have been collected and analyzed. A test apparatus was designed and built to study the heat transfer and air-side pressure drop through different coils before and after cleaning the condenser. A test method is proposed that will be used with this apparatus to characterize air-side fouling effects for a given heat exchanger design, independent of the condenser fan’s performance. One potential outcome of this work is that it will facilitate design of heat exchangers that are less prone or less sensitive to air-side fouling. Bio: Dr. Melanie Derby graduated from Rensselaer Polytechnic Institute with a Ph.D. in Mechanical Engineering in 2013, and joined Kansas State University where she is an Assistant Professor of Mechanical Engineering, College of Engineering Keystone Research Faculty Scholar, and director of the Cooling and Heating Innovation Lab. 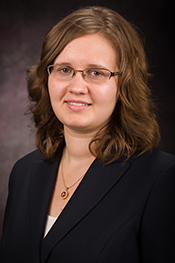 She received a 2017 NSF CAREER Award, 2017 KSU College of Engineering Outstanding Assistant Professor Award, and 2017 ASME ICNMM Outstanding Early Career Award. Abstract: This work considers the impacts of low humidity on building occupants. Nearly 600 articles were located in citation and keyword searches regarding the effects of humidity on comfort, health, and indoor environmental quality. Of these, around 70 articles reported the effects of low humidity (relative humidity ≤ 40%) and were analyzed in detail. Information in some categories was well chronicled, while other categories had significant knowledge gaps. Low humidity decreased house dust mite allergens. Due to different envelopes, generalizations could not be made for all bacteria and viruses. However, lower humidity increased virus survival for influenza. For comfort, low humidity had little effect on thermal comfort, but skin dryness, eye irritation, and static electricity increased as humidity decreased. For indoor environmental quality, low humidity had nonuniform effects on volatile organic compound emissions and perceived indoor air quality. Across many low humidity studies, ventilation rates and exposure times were noted as confounding variables. A majority of studies that used human subjects utilized exposure times of three hours or less with adult subjects; few studies used children, adolescents, or elderly subjects. Bio: Dr. Adam R. Thompson is Assistant Director of the Kutak Center for the Teaching and Study of Applied Ethics at the University of Nebraska-Lincoln. Abstract: Applied ethics is often approached from a theory-laden perspective. The main problem with that approach is that it tends to leave the impression that applied ethics is like applied mathematics—types of cases, issues, or puzzles correspond to types of theories. Alternatively, some approach applied ethics from an issues-first perspective. The main difficulty with that approach is that it often leaves us simply raising questions and concerns or highlighting moral considerations. A third approach attempts to walk that line between both of those approaches. This third way (a) first distinguishes results-based reasoning from non-results-based moral reasoning, (b) illuminates morally thick concepts and the central role they tend to play in our practical lives, and (c) leans on each of the previous points to elucidate a method for coming to and supporting conclusions about what to do across a variety of contexts and problems. In this talk, I will discuss (a) – (c) and show how to apply it to the context of academia generally and engineering in particular. 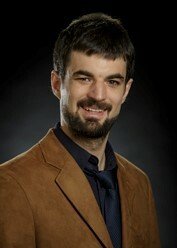 Bio: Christian Bach is an Assistant Professor at the Building and Environmental Thermal Systems Research Group (BETSRG) in Mechcanical and Aerospace Engineering at Oklahoma State University (https://hvac.okstate.edu/). He received his Ph.D. from Purdue University and his Dipl.-Ing. (FH) from Karlsruhe University of Applied Sciences. Abstract: Evaporators in air conditioning and cooling systems typically have multiple parallel circuits. Maldistribution between refrigerant and air side flow leads to a less effective evaporator, visible in a reduction of the evaporation temperature. This in turn leads to a reduction of system capacity and system efficiency. To overcome this issue, a hybrid control scheme can be used, where the flow to the individual evaporator circuits is actively controlled. The experimental results of the application of such a control scheme are presented for several applications. Further research to reduce the cost of the hybrid control scheme as well as results for additional evaporator and system modifications will be presented. 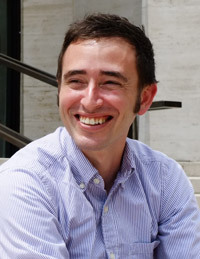 Bio: Clayton Miller is an Assistant Professor at the National University of Singapore (NUS) and is Director of buds lab – building and urban data science http://www.budslab.org/. He received his Ph.D. from ETH Zürich, masters degrees from NUS and UNL, and BS from UNL in Architectural Engineering. Scope: In this 3-hour workshop, participants will learn the basics of how to use a suite of open source data analytics languages, libraries, and platforms, including: Python, Pandas, Jupyter, R, and R-Studio. Several real-world research datasets, with a particular focus on building energy usage, will be introduced and workflows will be demonstrated and discussed. Participants will need to download the free Anaconda data science platform (https://www.continuum.io/downloads) and can follow along on their machines. Bio: Dr. Li is an Associate Professor of Architectural Engineering at the University of Nebraska. Abstract: Modern civilization is powered by energy in an unsustainable fashion. Built environment, where things start and converge and where people spend about 90% of their time, is the single largest sector in terms of energy, environment and economic impact. Information technology has revolutionized almost every aspect of our existence but hardly impacted the way how people operate and interact with the buildings. Consequently, the building industry becomes more and more old-fashioned, its economic potential could not be reached, and there is no winner in the marketplace. In this presentation, a paradigm-shift framework termed Smart Support Network will be proposed to transform the whole building industry and unleash the potential through empowering all the stakeholders, especially the innovators such as the researchers in the academic settings. Bio: Moh'd is a graduate student in Architectural Engineering at the University of Nebraska - Lincoln. Abstract: This presentation discusses a proposed concentrating solar system design and its merits and disadvantages. The proposed design includes a solar concentrator, porous evaporator, and an internal condenser, and is designed to achieve thermosyphonic flow and passive cooling for water in the condenser. Three configurations have been studied: a stand-alone solar still system, an integrated photovoltaic and thermal still system, and an integrated thermoelectric generator still system. Results show the dependency of efficiency, daily water yield, and power output on ambient temperature, condenser temperature, solar irradiance, and wind speed, in addition to other material specifications. Bio: Dr. Howard is currently a postdoctoral researcher in the Department of Civil and Environmental Engineering at Imperial College London. She received her PhD and MSc degrees in Mechanical Engineering from Columbia University where she was a NSF IGERT fellow. She received her BSc degree in Mechanical Engineering from the University of Nebraska- Lincoln. Abstract: Dr. Howard will be discussing on-going work for the UK EPSRC funded research project “Future Proofing Facilities Management”. The aim of the project is to develop methods to reduce energy consumption in buildings that leverage opportunistic data sets produced by today’s commercial buildings. The project is interdisciplinary and includes several industrial partners that range from construction management, building controls companies, and facilities managers. During the seminar, Dr. Howard will introduce works developed for two work packages. The first project evaluates the potential to measure, predict, and simulate occupancy from Information, Communication, and Technology (ICT) data sets. The second project aims to develop methods to access historical faults in building HVAC&R systems for better decision making. Bio: Mehdi is a Ph.D. candidate in Architectural Engineering at the University of Nebraska. Abstract: This presentation will provide generalized relationships between the fault level and its effect on normalized capacity and efficiency of air conditioners, for seven of the most important and common faults. The relationships are based on existing results of laboratory experiments in the literature. The generalizations are provided separately for fixed orifice and thermostatic expansion valve equipped systems in both cooling and heating mode. Bio: Alireza is a Ph.D. candidate in Architectural Engineering at the University of Nebraska. Abstract: The development of new fault detection and diagnostic (FDD) methods and the evaluation of the existing methods require system fault-free and faulty data for a set of important system faults. The generation of such a dataset via direct measurements is time-consuming and difficult. Therefore, there is a need to develop models that are capable of generating such system data without the necessity to do experimental measurements for every operating and fault conditions. This research simulates the fault impacts of two commercial refrigeration systems via semi-empirical modeling to facilitate the testing and development of FDD methods for such systems. The systems are a commercial walk-in freezer and a walk-in cooler. The simulated faults in these research consist of heat exchangers' fouling, liquid line restriction, compressor valve leakage, and undercharge faults. Bio: Krittima recently defended her thesis and will receive her M.S. degree in Architectural Engineering at the University of Nebraska. Abstract: DX cooling coil (DCC) systems are widely used in light commercial and residential applications for cooling purpose. However, improper installation, non-optimum design, and non-optimum control/operations incur faults in HVAC systems. These consequences are subject to inefficient equipment modelling developed from: (1) insufficient understanding in equipment characteristics, (2) uncertainties in testing environment and data, and (3) access and cost limitations. Hence, inherent characteristics are investigated to improve DX cooling coil (DCC) modelling procedures. Model based control/optimization of DCC methods are: white-box and black-box. In practice, physical geometries and laboratory testing data are not always available or not accurate enough to provide robust approximations and validations. A generic rating-data-based (GRDB) model generates cooling performance modelling from readily available manufacturing data, and employs inherent characteristics of cooling coils to separate wet and dry conditions. Accordingly, GRDB method will be re-examined by air principles and fundamentals of vapor compression cycle. DCC modelling procedures are proposed and illustrated by normalized capacity plots; the findings are validated using manufacturers’ data from various conditions and systems. In addition, the results show correlations in associated with proposed hypotheses. Profound understanding of DCC inherent characteristics could lead to better modelling procedures as it could lessen model complexity and computational processes, which could benefit low-cost sensing and fault. detection and diagnostics technologies. Bio: Shihan is a doctoral candidate in Architectural Engineering at UNL, with an anticipated graduation in 2017. How do indoor environmental factors, including thermal comfort and indoor air quality, correlate with student absenteeism. How does the relationship between indoor environmental factors and student absenteeism depend on seasons. How do the indoor environmental factors correlate with student achievement, taking absenteeism into account. This project will provide evidence-based data of indoor environmental factors to answer these questions. The proposed project has the ability to significantly benefit the school's decision-making processes to select the most successful factors to improve in order to reach higher student absenteeism and achievement. Bio: Dr. Alsaleem is an Assistant Professor of Architectural Engineering at the University of Nebraska - Lincoln. Previously he was a faculty member at Wichita State University (Mechanical Engineering), a lead algorithm engineer at Emerson Climate Technologies and a control engineer at MicrostaQ, Inc.
Abstract: In this work we present a cloud based model for monitoring and diagnostics of residential HVAC systems. This model will provide continuous diagnostics capabilities that leverages the latest technology advancements. Using embedded sensors and monitoring modules for the indoor and outdoor HVAC units, various measurements are transmitted to a cloud sever utilizing the homeowner Wi-Fi network. On the cloud side, algorithms process the data and generate triggers that a problem exist. One algorithms example is the use of an enhanced version of Mann-Kendall trending analysis for detecting and diagnosing HVAC systems faults such as refrigerant leakage and dirty filters. Relevant information from these algorithms is then shared with homeowners and contractors via e-mail & portals. In this presentation we explain the system in more detail by providing actual case studies which demonstrate the value in a proactive maintenance and repair model as supported by time-series data. This contrasts the reactive model that exists today..
Bio: Yuchen Wang is a Master's of Science student in Architectural Engineering at the University of Nebraska - Lincoln, working under the advisement of Dr. Haorong Li. Abstract: Mini-split heat pump systems are widely adopted in residential application in Asian countries. Since there is limited experimental research on mini-split heat pump systems in the U.S, we investigate the system deeply by simulation. In order to simulate this system, an accurate modeling software is essential. The presenter would like to introduce the Heat Pump Design Model (HPDM) and show audiences its possibility of generalization. The HPDM is an online-based modeling software available for engineers and researchers to accurately simulate refrigeration cycle devices, while there are some other software packages available to model the refrigeration cycle. The model is a physical model in which several inputs are required, i.e. heat exchanger configurations, compressor data and other detailed parameters of the heat pump system. Then several key outputs: mass flow rate, power consumption and capacity can be obtained. Comparing the important outputs between the lab data, manufacturing data and simulation results, the presenter could demonstrate the capability of generalizing the model. Case studies will be provided based on lab data and manufacturing data of one mini-split heat pump system unit to test the application of the proposed model generalization. Based on the simulation results, Heat Pump Design Model can predict those key outputs in a certain temperature range with relative error around 5%. Bio: Mohammad Hasan is a Ph.D. student in Mechanical and Materials Engineering at the University of Nebraska - Lincoln, working under the advisement of Dr. Fadi Alsaleem. Abstract: The predicted mean vote (PMV) comfort model is the most commonly used for comfort applications. Two model inputs - clothing insulation and the metabolic rate - are impractical to measure in real time, so these are neglected in typical application in buildings, which can lead to reduced comfort levels. In this work, measurements from a wearable device are used to infer metabolic rate in real time. We show that the metabolic rate cannot be estimated and its estimation may result in high errors. We also show that the metabolic rate is the most impactful factor in comfort analysis by measuring the sensitivity of the PMV model to different parameters. Lastly, we propose a comfort model by incorporating environmental parameters with personal parameters and biometric parameters to create a comprehensive personal comfort model. Bio: Sungmin Yoon is a Ph.D. student in Architectural Engineering at the Durham School of Architectural Engineering and Construction at the University of Nebraska - Lincoln. Abstract: The role of building sensor networks is increasingly significant in building industry in that advanced building energy management, health diagnostics, and analytical optimization (MDO) are increasingly conducted based on measured data to improve building systems’ performance. However, various random errors and systematic errors of working sensors occur in real working conditions over time. These sensor errors, which are not obvious at all, could greatly misguide the MDO and lead to actions that negatively impact the building performance and indoor environment quality. In order to reduce the sensor errors, we propose a sensor calibration method in building systems, termed extended virtual in-situ calibration (EVIC). This method is mathematically formulated as a constrained nonlinear optimization. Bayesian inference is used to derive statistically optimal solutions regarding the optimization-based calibration problem. A case study of a LiBr-H2O absorption refrigeration system demonstrates the application of the suggested calibration. 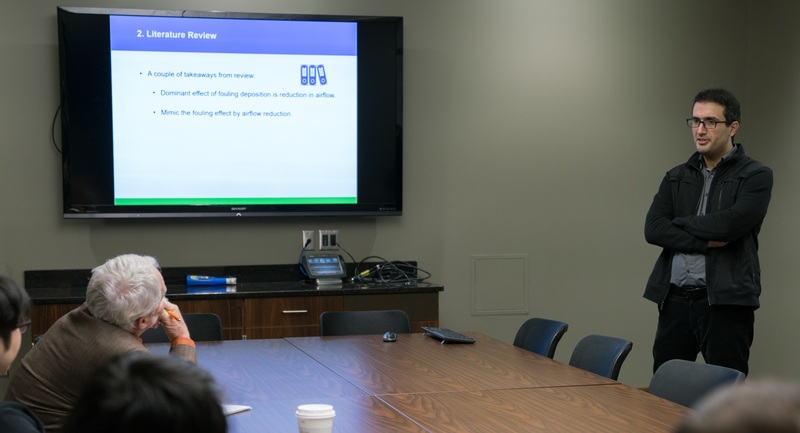 Overview: In preparation for their presentations at the 2016 International Conference on Air-conditioning and Refrigeration at Purdue, Mehdi and David gave a practice presentation to N-BE³RG. Bio: Mehdi Mehrabi is a Ph.D. candidate in Architectural Engineering at the Durham School of Architectural Engineering and Construction at the University of Nebraska - Lincoln. Abstract 1 : This presentation shows the results of an analysis of existing laboratory data to determine the effects of charge faults and condenser fouling on several normalized variables of interest, such as capacity and COP. The values are presented as a function of normalized fault levels, and regression coefficients are provided to form a basis for predicting the impact of faults on performance for air-conditioners in general. Bio: David Yuill is an Assistant Professor of Architectural Engineering at the Durham School of Architectural Engineering and Construction at the University of Nebraska - Lincoln. Abstract 2 : Previously Yuill and Braun have presented a method for evaluating the performance of FDD tools applied to unitary air conditioning systems. However, the output of their method is difficult for laypersons and equipment owners to understand. This new method proposes a system for taking into account the holistic economic value of a given FDD tool, based upon multiple likely scenarios that are assigned probabilities. A single-number figure of merit provides the value, in $/ton, of applying a given FDD tool, on average. Abstract: The three teams will present a summary and highlights of the designs that they produced as an entry to the ASHRAE Student Design Competition. The System Selection Team and Design Calculations Team each won 1st place in the competition, and the Applied Engineering Challenge Team won third place. The designs compete against the entries from universities all over the world. Bio: David Yuill is an Assistant Professor of Architectural Engineering at the Durham School of Architectural Engineering and Construction at the University of Nebraska - Lincoln. He has Ph.D. in Mechanical Engineering from Purdue University, and is a licensed Mechanical Engineer. Abstract: There are many automated fault detection and diagnosis (AFDD) tools available commercially. In making a decision whether to adopt one of them, or whether to use AFDD at all, one should ask how well the tool works. However, there was previously no method to measure performance, or even a way to describe or characterize performance of AFDD tools. This presentation will describe a new standardized method of measuring and characterizing the performance of AFDD tools intended for unitary air conditioning equipment, and show some case studies that demonstrate that many existing methods provide surprisingly poor results. Bio: Clayton is a Doctorate Fellow at the Institute of Technology in Architecture (ITA) at ETH Zürich, and is working with the Low Exergy group with a focus on monitoring building performance metrics. His research is based at the Chair of Architecture and Sustainable Building Technologies (SuAT) in Zürich. Abstract: This talk will focus on two real world examples of managing and extracting information from large, temporal data sets from sensors in buildings. The first project is the 3for2 case study in Singapore in which over one thousand points are streamed, visualized and processed from the BMS/EMS systems of a building with innovative cooling technologies. The use of modern time-series databases and web-based visualization prototypes will be showcased. The second case study is the analysis of over one thousand buildings with one year of hourly, electrical data available. This study focuses on the use of temporal feature engineering to enhance the assessment of benchmarking and potential interventions in portfolios. Bio: Mehdi Mehrabi is a doctoral candidate in Architectural Engineering at the Durham School. He has a B.S. degree in Mechanical Engineering from the Iran University of Science and Technology, and an M.S. in Energy Engineering from Islamic Azad University. Prior to his doctoral studies he had several years of experience as a research and development manager for an energy conservation company. Abstract: Many experiments have been conducted over the past 25 years to determine what the effects of operating faults are on air conditioner performance. This presentation will show the effects of seven of the most important and common faults on the performance of air conditioners, based upon aggregates of the results of experiments for all known sets of data and published results. The faults are: undercharge and overcharge of refrigerant, condenser fouling, evaporator fouling, liquid line restrictions, non-condensable gas, and compressor valve leakage. The results include key operating parameters, such as mass flow rate, superheat, and subcooling, as well as whole system performance (capacity and efficiency). Abstracts: Part 1: This study presents simulations to evaluate various energy saving benefits of different Dedicated Outdoor Air System (DOAS) configurations in diverse climate zones for commercial buildings in the United States. Conclusions of this study include: (1) supply conditioned OA directly to each occupied space with a DOAS in all simulated locations, and (2) consider active chilled beams as the local terminal HVAC unit in locations that experience hot summers, such as Miami and Phoenix. Part 2: Indoor environmental factors, including thermal comfort, indoor air quality, acoustics, and lighting conditions, impact achievement of K-12 students in many ways. Quantification of the impact of each factor, interaction between factors, and rank order of these factors in terms of impact on student achievement will be addressed in this research. Data from this research will benefit schools’ decision-making processes to select the important factors to address in order to promote higher student achievement. A new physical method to enhance heat and mass transfer through gas-liquid phase will be introduced. The presentation will include system design, lab construction, data analysis and some preliminary theorization. Abstracts: Part 1: A new physical method to enhance heat and mass transfer through gas-liquid phase will be introduced. The presentation will include system design, lab construction, data analysis and some preliminary theorization. Part 2: A preliminary experiment using PCM to actively store and release thermal energy will be introduced. This project aim to solve traditional PCM do not work during environment temperature stay out of PCM melting temperature. Abstract: My research focuses on the development and testing of ad-hoc data analysis techniques for BMS/EMS datasets in order to bridge the gap between simplified analysis and continuous monitoring-based techniques. I will discuss implementation of various filtering and screening techniques on real-world datasets. Bio: Ehsan is a doctoral candidate in Construction Engineering in the Charles W. Durham School at the University of Nebraska. Abstract: Certain pathogens are transmitted through air by respiratory droplets that desiccate shortly after emission and form droplet nuclei. Droplet nuclei are sufficiently small (<5.0µm) to remain suspended in air indefinitely, and thus, create a pathway between an infected and susceptible person. This process is called ‘airborne transmission’. Patients with an airborne infectious disease (e.g. measles, SARS, tuberculosis, varicella, etc.) are isolated from the healthcare environment in an Airborne Infection Isolation Room (AIIR) to protect other patients and healthcare workers. AIIRs have special features to effectively contain and remove airborne pathogens. For example, a 2.5Pa negative pressure relationship with adjoining spaces is required for an AIIR to create directional airflow into the AIIR and prevent the transmission of airborne pathogens from the AIIR to adjacent healthcare spaces. Directional airflow, however, may be disrupted and even reversed by door opening motion and the movement of people and equipment into and out of the AIIR. This presentation highlights the results of both experimental and computation studies that explore air exchange and particle movement between an isolation room and anteroom relative to 3, 5 and 7 second door cycle speeds, and, neutral and negative air pressure relationships. Abstracts: Significant process intensification (PI) of heat and mass transfer is indispensable in building compact and energy efficient absorption refrigeration systems. High potentials exist to achieve the required PI through (1) development of active heat and mass transfer enhancement techniques and (2) combining the active enhancement mechanism with proven and widely used passive enhancement techniques in transport processes. There is limited research on the effect of active mechanisms, such as vibration, on heat and mass transfer coefficients in absorption systems with falling film horizontal-tube absorbers. In this general survey, with the aim to enlighten the path for active mechanisms development, recorded heat and mass transfer enhancements via active mechanisms were extracted from pertinent research works, and were summarized in tables suitable for evaluation and comparison. The potential for future research on enhancing heat and mass transfer in absorption chillers was identified. ASHRAE Standard 62.1– Ventilation for acceptable indoor air quality – allows the use of demand-controlled ventilation (DCV) for occupied spaces when the actual occupancy level of the space is available. Mainly, the purpose is to prevent over-ventilation at part load occupancy condition to save the energy required to condition the excessive outdoor airflow to the system. CO2 sensors, installed in each zone, could be used to estimate the space occupancy level in an occupied space with a fairly high accuracy. However, currently there is no standardized control logic for CO2-based DCV. Therefore, there is a critical need to develop control sequences to run the HVAC systems efficiently and effectively. To develop control sequences, energy and CO2 concentration models are essential. Till present, energy model is completed in EnergyPlus and CO2 concentration model is being developed in Matlab software. Bio: Denchai is a doctoral candidate in Architectural Engineering at University of Nebraska-Lincoln, anticipating completion of the degree in 2015. He obtained his B. Eng and M. Eng in Mechanical Engineering in 2005 and 2009, respectively, from Chulalongkorn University, Thailand. His research interests are 1) low-cost, plug-n-play, non-invasive automated monitoring, control, diagnostics, optimization and soft-repair of building energy systems and 2) automatic control and modeling of robot and mechanical systems. Abstract: Rooftop packaged air-conditioning units (RTUs) have been intensively utilized in commercial buildings for providing space heating and cooling. They serve over 60% of the commercial building floor space in the U.S., contributing around 230 trillion Btus of annual energy consumption. Inefficient routine operations of multiple RTUs result in waste energy consumption. Specifically, oversizing is an inherent issue practically caused by over design of mechanical engineers. With field test studies, oversizing can be up to 100% leading to much energy penalty. Although there are locally advanced control technologies utilized to improve the overall efficiency performance of RTUs, they are invasive approaches to interrupt normal operations and require experienced service teams for preventative maintenance causing high first cost installation and service costs with returning on investment (ROI) being more than 3-5 years depending on the type of a building. To reduce ROI being less than one year and permanently reduce inherent oversizing issue without intervention of an original system, the article proposes a novel and non-invasive methodology for permanently reducing energy penalty caused by non-optimal design. The novel approach is called "soft-repair" that uses adaptive control strategies to minimize the fault impact until the receipt of actual physical repair or to ultimately eliminate the fault without any further physical intervention. Control algorithms are systematically developed to mainly eliminate oversizing effect. With these algorithm implementations, severe faults including fail compressor, fail heater and some control-related faults can be temporarily disabled until these faults are physically fixed and ready to use normally. The proposed method will be further conducted to temporarily minimize the fault impact caused by faulty operations and improper commissioning such as over-circulation, outdoor air damper leakage and indoor humidity problem in near future. November 14, 2014 - Chunxiao Su, Ph.D.
Abstract: Upper-room ultraviolet germicidal irradiation (UVGI) has been proved to inactivate specific bioaerosols. This study evaluates the effect of upper-room UVGI on general bioaerosols in highly occupied environment like elementary classrooms. Both traditional cultural method and real-time monitors were used.